The Rules of Golf have evolved continuously for more than 250 years, so that they now cover practically every situation that can possibly arise on the golf course, either by direct reference to the 34 Rules in the Rules book, or where further clarification is required, through one of the 1,200 plus Decisions in the current Decisions on the Rules of Golf book. However, from time to time situations arise on the golf course where even Rules experts differ in arriving at the correct ruling. Recently, I have been challenged on my interpretation of the Rules relating to Line of Play and Advice and now I am in a position where I cannot make up my mind as to whether I was right or wrong. I accept that this subject may be a little esoteric for some regular readers, but offer it as an illustration as to how matters are not always black and white when officials make golf rulings (although they usually are!). George is a senior, high handicapper who has played golf for 50 years. His eyesight is not the best. On the third teeing ground, a blind shot up a steep incline he asks his fellow competitor to show him the direction that he should be playing his ball. (See the above photo for an illustration of a similar location). The Line of Play is "the direction that the player wishes his ball to take after a stroke". It is not the direction someone else thinks you should be playing. So, it would be fine for a player to state that he wants to play up the left side of the fairway and ask his fellow competitor which tree on the horizon would that be, but asking him to show him the direction he should be playing his ball is asking how the hole should be played. Only the player himself is permitted to select his line of play. Once he has selected that line, he may get someone to indicate it. For example, the player might be in a position where he has selected his line of play, having walked to the brow of a hill, but knows that he will not be able to see the target line when he returns to the teeing ground, and so he asks someone stand on the line to indicate it for him as he prepares for his stroke and then move away before he the stroke is made. On the other side of the discussion the question is asked why, if the above arguments are correct, Rule 8-2a exists. They claim that Rule 8-2a overrides Rule 8-1; otherwise it would not be needed, as Rule 8-1 plus the Definition of Advice fulfills the above argument without it. They also point out that there are no Decisions for Rule 8-2a that qualify my highlighted first clause of that Rule in any way. Literally, the clause would appear to permit anyone to point out a line of play anywhere other than on the putting green, without penalty. Another opinion is that the Rule 8-2a clause only applies to the line to the hole and does not permit a player to ask, or be given, any information other than that, because the Definition of Line of Play is literally limited to the direction that the player wishes his ball to take and does not leave room for information to be received from another player. Why would the Rules disadvantage a player who has not played a hole before from knowing the line of play, especially on a blind tee shot? Why cause unnecessary delays to play by obliging a player to walk forward to the brow of a hill, or around the corner of a dog-leg, to see what lies in front of them before assessing their line of play? Is it logical to not permit a player from providing public information about the course that may also be obtained from a local caddie, course signage with an illustration of the hole, an overhead photo of the hole (e.g. from an electronic device), or large painted stones or marker posts that have been specifically positioned to indicate the optimum line of play? Decisions 14-3/5 and 14-3/16 expressly permit the use of advice-related matters that have been produced prior to the start of the player's round, e.g. a Strokesaver that might even include the Pro’s tips on how to play the hole, which probably provide considerably more information on how to play the hole than just the line of play. A common dictionary definition of ‘indicate’ is ‘point out’. If we substitute these words in the contentious part of Rule 8-2a, it reads, “a player may have the line of play pointed out to him by anyone”, which to me, in this scenario, includes the place from where the stroke is to be made, not just a point on the brow of the hill. So, there are good arguments on both sides and the conflicting opinions are strongly held and unshakable. I am unsure, although I want my original understanding of the ruling to be right, as I think that it is better for the game. What I am certain about is that this matter is unlikely to be satisfactorily resolved until the Ruling Bodies introduce a Decision that resolves the confusion. Are you a 'Rhodes Rules School' subscriber? If not, click on this link for details of my free, weekly photo series on the Rules of Golf. Surely the line of play - as defined above - could be different from player to player, but the location of the green is the same for everybody? One of my regular partners plays off very close to the same handicap as me. I hit it with a fade and he hits a big draw. We aim in opposite directions and often end up just feet apart. I think the point is, the question, "Where is the green from here? ", should result in a factual answer which will be the same for every player. That would not be advice. The question, "What is the line of play? ", will produce different answers for different players and, depending on Uthe answer given, could cost both players a penalty. When asking the question you need to be careful to ask for information as opposed to advice. When answering, you need to be careful to provide information, not advice. I agree that the interpretation you have is correct. It would be helpful if there was a Decision to clarify it. Have you asked R&A if they could make a Decision on this? I agree with much of what you say, but must point out that receiving an answer to the question, "Where is the green from here?" would be totally misleading on the teeing ground of a dog-leg hole. A player may certainly provide unsolicited information on the Rules, as this is not advice. I often ask a fellow competitor if their second ball from a teeing ground is a provisional ball if they had not declared it as such, in order to stop them unwittingly breaching a Rule. Your last paragraph is an important distinction, which is a useful tip for any golfer. Personally, I do not have any direct contact at R&A Rules, but I understand that others may be following-up on this matter. 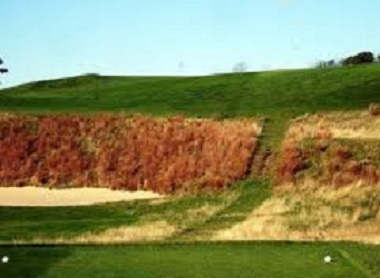 It seems to me that as long as you ask a fact question, like "which of those trees is on a line with the fairway? ", or "Does that path lead to the center of the fairway?" you should be OK. Asking a non-fact question will probably get you in trouble. But I point out, or indicate, that you have made a wrong substitution at a wrong place (bad puns intended). The words “line of play” in Rule 8-2a refer to the defined term. So the correct substitution at the right place is: “a player may have the direction that the player wishes his ball to take indicated to him by anyone”. Does that make clearer what the correct interpretation should be? Agreed, but that does not answer the confusion over whether the question, "What is the line of play?" on a blind shot, incurs a penalty for seeking advice; "What is my best line of play?" probably does. Yes, that is certainly the main argument that I am receiving from those that think a penalty is incurred. The effect of this is that whenever a player has a blind shot from anywhere on the course, they would have to walk forward to assess their line of play and then ask someone to stand there to indicate the line until they return to their ball and are ready to make their stroke. Not very practical on links courses! I am also receiving just as many reasonable arguments from those that do not think a penalty is incurred. For this reason I am sitting on the fence until we receive an 'official ruling', or better still a new Decision. Read Decision 1-4/12, principle 3, example 2. I don't think that anyone disagrees about a penalty being incurred when a player asks whether it is best to play for the center of the green or to play for the flagstick. However, that is not the subject of this discussion on Rule 8-2a. Are you suggesting that if a player was to ask a fellow-competitor, "where should I play?" and the fellow-competitor replies "Aim at the tree to the right of the green", it's not a breach of 8-1 because it's permitted by 8-2? No, that is not what I am saying. You seem be missing the nub of the conflicting arguments that I have tried to explain in this blog. Let me try once again. A player arrives at the Par-4 or Par-5 hole in the photo at the start of my blog. He has never played the course before, did not have time to purchase a Strokesaver and does not have a smart phone with him, on which he could access an aerial view of the hole. He says to his fellow competitor, “OK what is the line of play from this teeing ground”. This would appear to many Rules experts to be permitted by the wording of Rule 8-2b, “Except on the putting green, a player may have the line of play indicated to him by anyone”. The counter argument claims that a player may only have a line of play indicated after they have chosen that line of play. In my example, this would mean the player walking to the brow of a hill, choosing his preferred line of play, taking into account all the matters of public information, such as the shape of the hole, the positioning of hazards, the slope of the fairway, how far the rough encroaches, etc.. At this stage he must ask a fellow competitor to mark the direction that he is indicating is his chosen line of play, as he stands on the brow of the hill. He then returns to the teeing ground and the fellow competitor gives him a reference point on the horizon for his chosen line of play. That is a simplified synopsis of the disagreement over indicating the line of play, as I see it. If you have any further comment on this subject I would prefer if you would email me directly at rules at Barry Rhodes dot com. It's my belief that the counter argument is correct. And the player's actions that you describe could be considered undue delay. I think that any factual information is OK and not advice. So it would be fine to say what line to take which would be the direct line to the hole, to the middle of the fairway 200 yards out, 20 yards right of a bunker, or to the apex of a dogleg. But as soon as you give a line which involves any judgement of a "good line", taking into account the player's skill or typical ball flight, wind, relative danger of hazards, etc., then it is advice. That was my understanding, but even 'expert' opinions on this are divided and in my opinion official clarification is is now required. Regarding the anonymous question that I received starting, "Singles match play. Matt and John in one cart; myself with another guy in the other", the result of the match stands, as the correct procedure set-out for disputes and claims in Rule 2-5 was not followed. A claim that is not made in accordance with Rule 2-5 must not be considered by the Committee. I originaaly thought my opponent was receiving unsolicited advice from his cart partner that is not his team mate. Upon more information, after the completion of the mation, I realized my partner was asking for advice which I was not aware of. Make any difference? No this does not make any difference, for the reason that I have already stated. In match play, a claim regarding a possible breach of a Rule has to be properly made before commencing play of the next hole. Please read Rule 2-5. Somewhat off the main topic but can you clarify the following under Rule 8-2. A player marks the ground in a bunker behind his ball to indicate the line of swing between his ball and the flag. I would have thought this was in breach of the rule but it has been suggested to me that the "line of play" only includes the forward direction of the ball after the stroke is made and therefore no breach has occurred! What do you think? "Any mark placed by the player or with his knowledge to indicate the line must be removed before the stroke is made." Q May a player place his pipe or a club beside his ball, or an object behind his ball, to indicate the line of play and leave the object there while playing a stroke? A No. Such action would be a breach of Rule 8-2a. This affirms the thrust of Barry's answer. It also confirms that a breach is not limited to putting marks or objects between the ball and the hole.